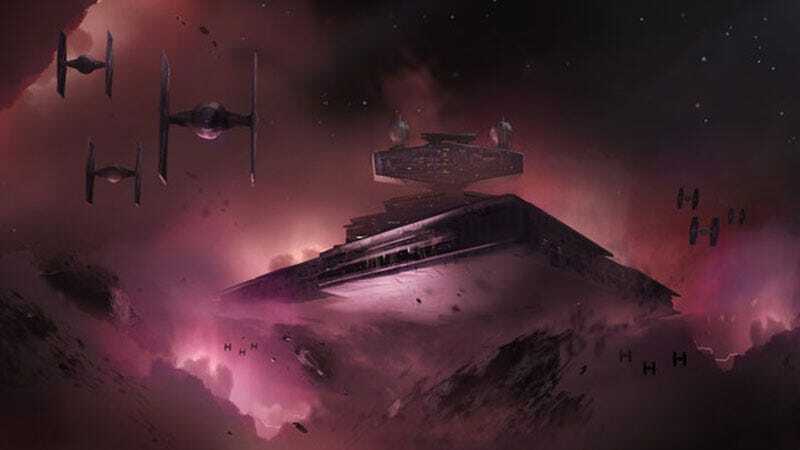 Concept art from Visceral’s canceled Star Wars game, Ragtag. Electronic Arts has canceled its open-world Star Wars game, according to three people familiar with goings-on at the company. The game, announced alongside the shutdown of Visceral Games back in 2017, had been in development at EA’s office in Vancouver. EA Vancouver, a large studio that mostly handles support for a variety of the publisher’s games including FIFA and Battlefront, had been working on this open-world Star Wars game since October 2017, when EA closed Visceral Games. Until then, Visceral—best known for its popular Dead Space horror series—was developing its own Star Wars game. That project, code-named Ragtag, was a linear action-adventure game directed by Uncharted director Amy Hennig. EA Vancouver had been assisting on the project, and when EA closed Visceral Games on October 17, 2017, the Vancouver studio took it over. But it wouldn’t be accurate to say that EA Vancouver’s Star Wars was the same game as Ragtag. When EA Vancouver took over, it rebooted this Star Wars project entirely, keeping some of the art assets but transforming it into an open-world game. In June 2018, EA announced that it had expanded its Motive studio—previously a single office in Montreal led by industry veteran Jade Raymond—to a Vancouver location as well. That one would also be located in the publisher’s large office in Burnaby, British Columbia, as a division of EA Vancouver. On October 22, 2018, EA announced that it had installed executive Samantha Ryan to oversee Motive. Subsequently, Raymond left the company. It’s not clear what EA Vancouver’s next new game will be. We’ve heard it might be a different Star Wars project. Respawn, the Los Angeles-based studio responsible for Titanfall, is also making a Star Wars game, called Jedi: Fallen Order. That game is currently scheduled for fall 2019. UPDATE (10:17pm): Since the publication of this article, I’ve talked to several more people familiar with EA Vancouver’s now-cancelled open-world Star Wars game. This project, which was code-named Orca, was very early in development but would involve playing as a scoundrel or bounty hunter who could explore various open-world planets and work with different factions across the Star Wars universe. There’s been speculation overnight about one of our Star Wars projects. As a natural part of the creative process, the great work by our team in Vancouver continues and will evolve into future Star Wars content and games. We’re fully committed to making more Star Wars games, we’re very excited about Star Wars Jedi: Fallen Order from Respawn, and we’ll share more about our new projects when the time is right.